Perhaps the best way to describe the experience of watching La La Land is to borrow a blurb from Plato. “Music is a moral law. It gives soul to the universe, wings to the mind, flight to the imagination, and charm and gaiety to life and to everything.” Pretentiousness aside in quoting a philosopher, the film is all of these things as well as a masterpiece, a vehicle playing the soundtracks of past musicals while driving off into an uncharted horizon of newness. Odes and homages come with a nod and a wink, somehow maintaining a marital loyalty to the genre’s history whilst courting the fresh young face in the crowd. The affair works because La La Land is such a smooth distillation of inner passion, conveying the love and loneliness of life through the kind of kaleidoscopic daydream you won’t want to be wrestled from. You’re looking at one of 2016’s finest. Part of what makes La La Land so digestible is how traditionally its story is told. For all of the on-screen theatrics and flair, we’re left to watch creative dreamers mightily struggle to succeed in a Los Angeles drenched by primary colors. Seas of deep blues, sunflower yellows, poppy field reds, Amazonian greens. The colors are elemental to the picture’s incremental steps forward in its themes of sadness and joy and love and renewal. We first identify these emotions echoed in the A Star is Born turn from Emma Stone as Mia. She’s equal parts college dropout, barista on the Warner Bros. lot, and failing actress for the last six years. Mia is on the brink of abandon. Then she stumbles into a jazz club, hears a sad man playing a sad tune, and what seems like a series of chance encounters is elevated to pure cinematic serendipity. 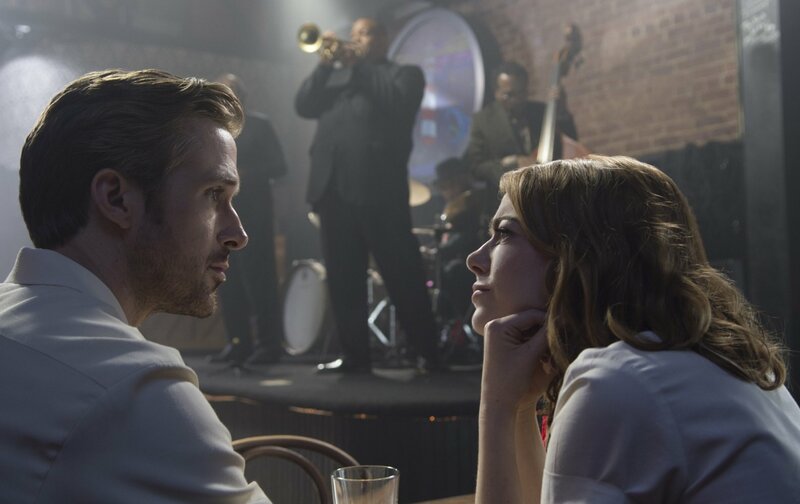 That jazz pianist is Sebastian (Ryan Gosling). He’s a bit of a hermit, maybe because he likes it that way. Sebastian – a strict traditionalist – believes in the integrity of his dying art form. He explains this to Mia through frenzied opinion. She sits listening like “The Thinker,” fists under her jaw, clearly in disagreement but caught up in the moment. 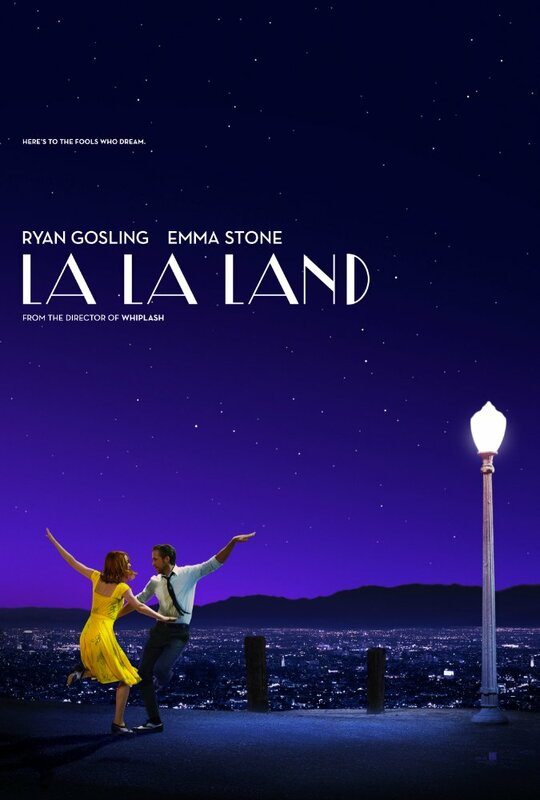 With these two characters, La La Land dwells somewhere in a place of coplanar existence, teetering between Sebastian’s forfeitable goals and Mia’s undefined ambitions. Each person is their own. That said, the film only works because of the obvious affection these two performers have for one another. 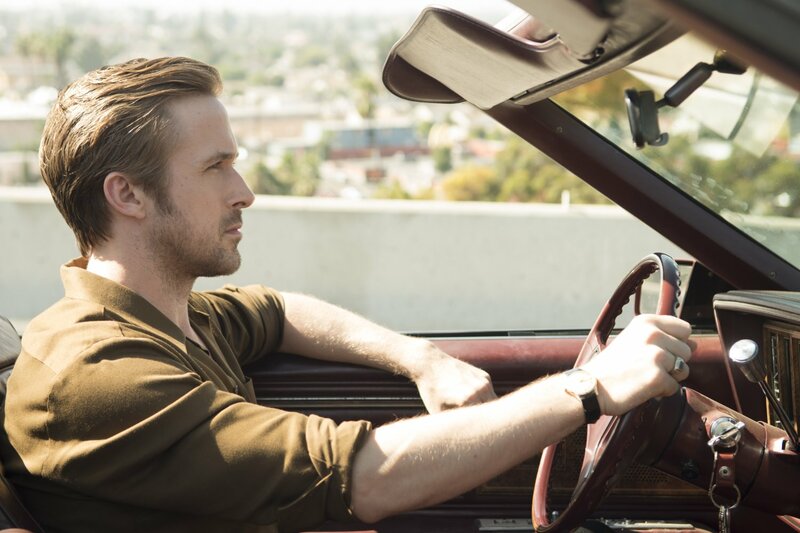 Gosling’s years as a young Mouseketeer and his recent revelation for comedic timing make him a perfect addition as a man who makes love to his keys while making us laugh through his awkward love. Stone, once again, shows that her talent knows no limits as Mia runs the full gamut of expressible emotions. Both are deserving of being included in their respective Oscar fields. Whether or not that happens, they earned it. And so has director Damien Chazelle, who in only his third feature has made an almost frustratingly off the charts film. Its appeal is rampant yet still harnessed. There are only two faults to be found throughout. The first is a non-issue, specifically because its sporadic use of musical numbers makes it feel more like an actual film than a stage routine. But in one inexcusable shot, La La Land falls for my biggest movie pet peeve. While Mia and Sebastian walk the WB lot, there’s a front facing camera and distanced tracking shot edited together with clashing dialogue hardly ever close to matching the actual mouthed movements. But Chazelle’s film is about kind, honest, compassionate people who have imperfections and allow others to admire their peccadilloes. To critique La La Land is to dig for a needle in a haystack. Scour hard enough and long enough and you’ll find the flaw. Please don’t. Dive in, and if you’re pricked, I assure you the wound is bandaged almost immediately. 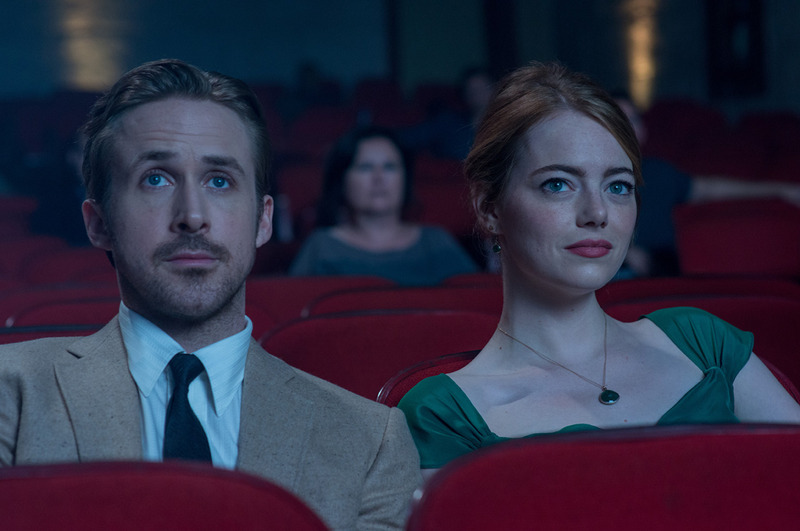 La La Land will be one of the year’s most awarded films. From the performances to the set design. From Chazelle’s writing and directing to Linus Sandgren’s ambitious cinematography, especially a breathtaking 5 minute pseudo one-shot open, all edited to Tom Cross’ speed and pace. You’ll be whistling Justin Hurwitz’s original compositions and score on your way out. The movie plays right into the Academy’s recent voting trends by being about a Hollywood of then and now, but backs up all of its scope and ambition with grit and caliber. I urge you to see this film on the big screen, in a crowded theater, seated next to a person you want to share the experience with. And then revel in its final sequence. Chazelle chooses to end the film by telling us the entire story in mere minutes. It’s the happy version of life juxtaposed against an unavoidable reality, stylized in the manner of Jacques Demy’s classics while borrowing the warmth of An American in Paris. La La Land just hits so many nails on the head, not least of which is a longing to love. To walk that person you think you might like home even if it’s out of your way. To enjoy their company even if it’s awkward. And to be engrossed by the shared little moments and the nervous quietude without feeling silenced. It’s in all of these drawn out breaks where fondness can be found in possibility. La La Land builds a home there, its foundation steady, doors unlocked, shutters open, a well tread welcome mat and a doorbell broken from years of use. Invite yourself in. Make yourself comfortable. You won’t want to leave.